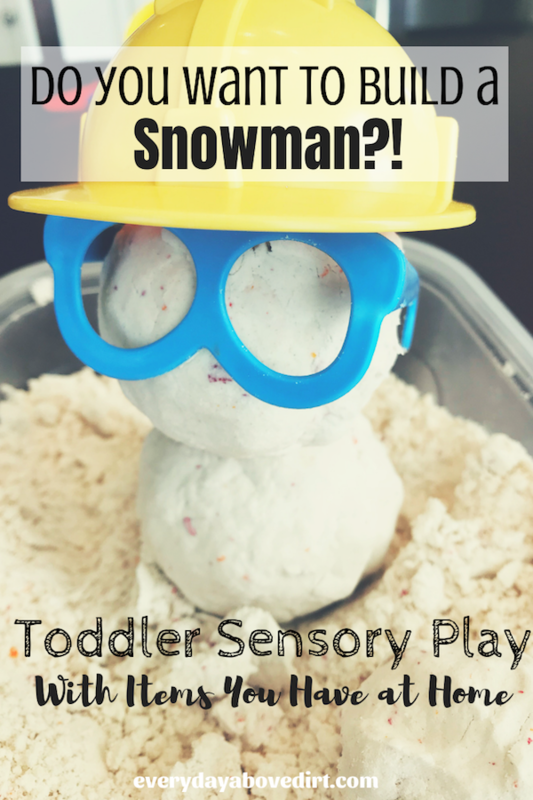 Once I learned more about it, toddler sensory play has been something that comes fairly easy for me to create. Not because I’m awesome but because I’m basic. You see createing sensory play is pretty easy but sometimes us adults can make it more difficult than it needs to be. We’re great at overcomplicating everything. That’s another reason why I love sensory play. It’s simple! Before becoming a stay at home mom, I was an elementary school teacher. So, anything that fosters a sense of learning is right up my alley. I believe that if we can instill a love for learning in our kids then they can do anything. AND…learning starts with you at home. Not in a classroom. 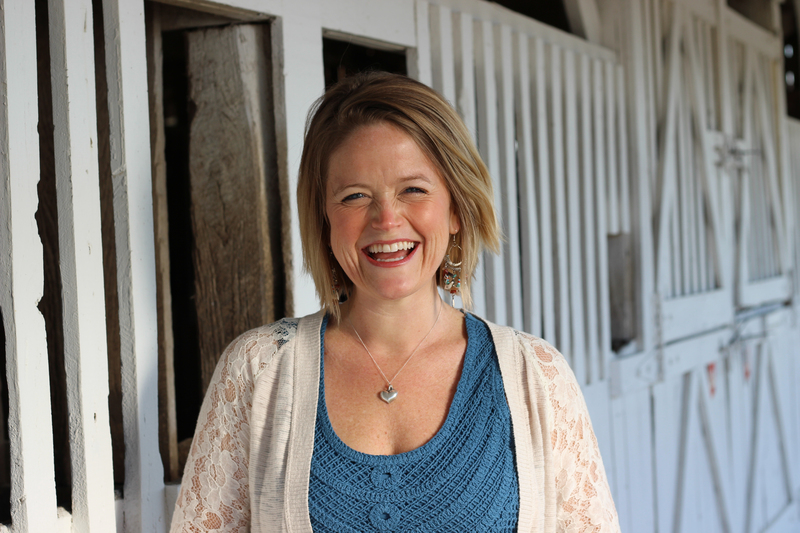 I’ve been so excited to discover more about sensory play because it’s just that…play! If you can make learning feel like play then your toddler will be all in. For todays topic I’ll be talking about how we use flour for sensory activities. 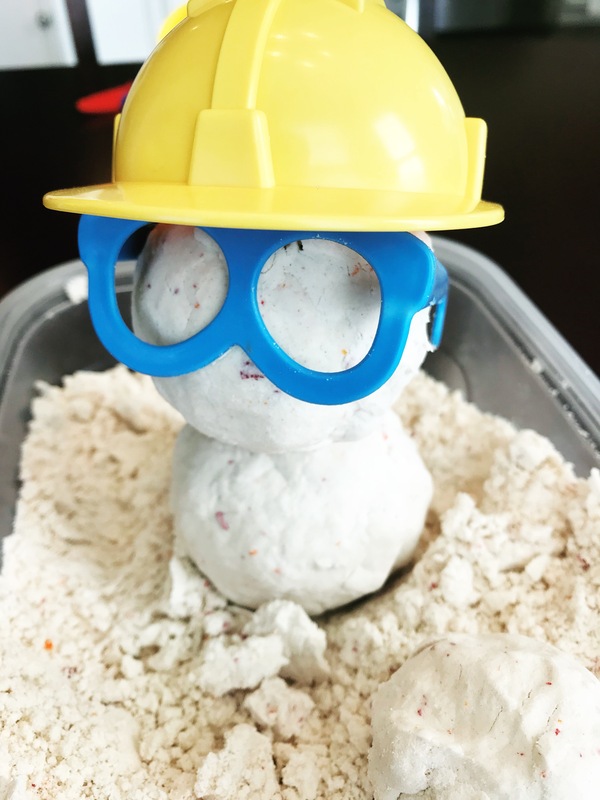 We did three pretty basic but oh so fun homemade activities that ignited curiosity in my little toddler. 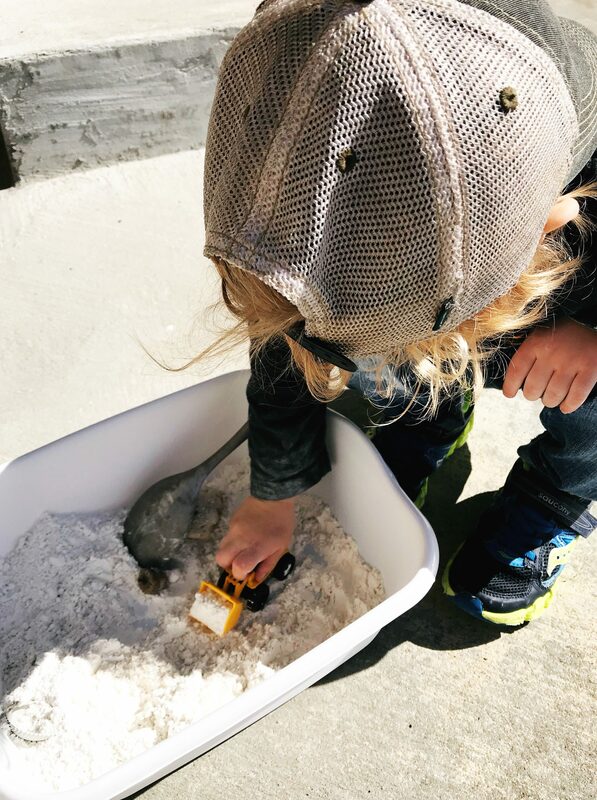 But, before I go into more detail about our flour sensory play let’s talk about why sensory play is important for toddlers and the benefits of sensory play. Why Sensory Play is Important for Toddlers? Sensory play is important because it stimulates children’s senses. You know the ones; hearing, seeing, touching, tasting and smelling. 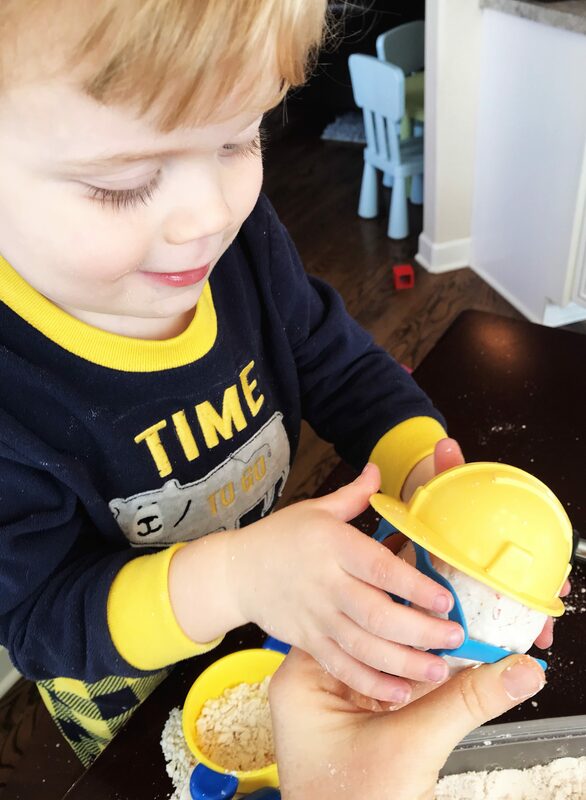 Messy play (aka sensory play) entices their curiosity and encourage kids to explore while they create, investigate and learn through play . Sensory play builds nerve connections within developing brain’s neural pathways. This triggers children’s inclination to complete more complex learning tasks. This type of play also encourages language development, cognitive growth, motor skills, problem solving and social interaction. You can read more about the importance of sensory play by clicking here. 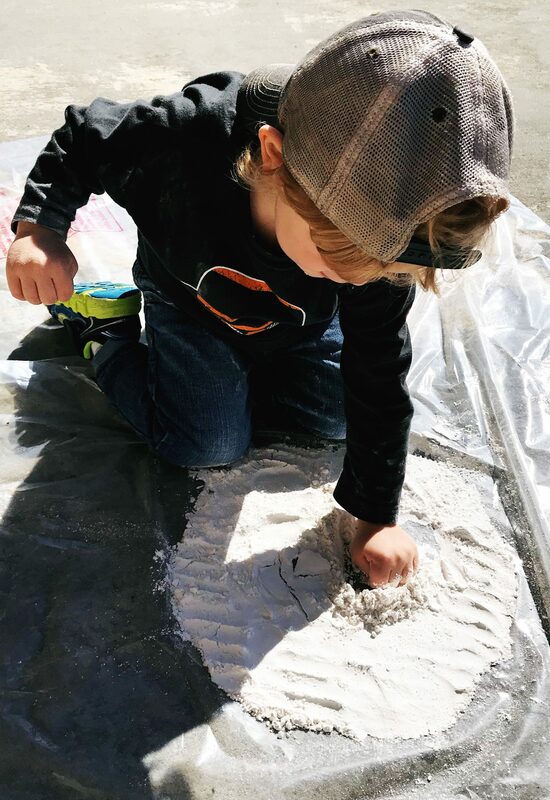 Okay, now you know the basics of sensory play let’s dive into our flour fun with sensory play! 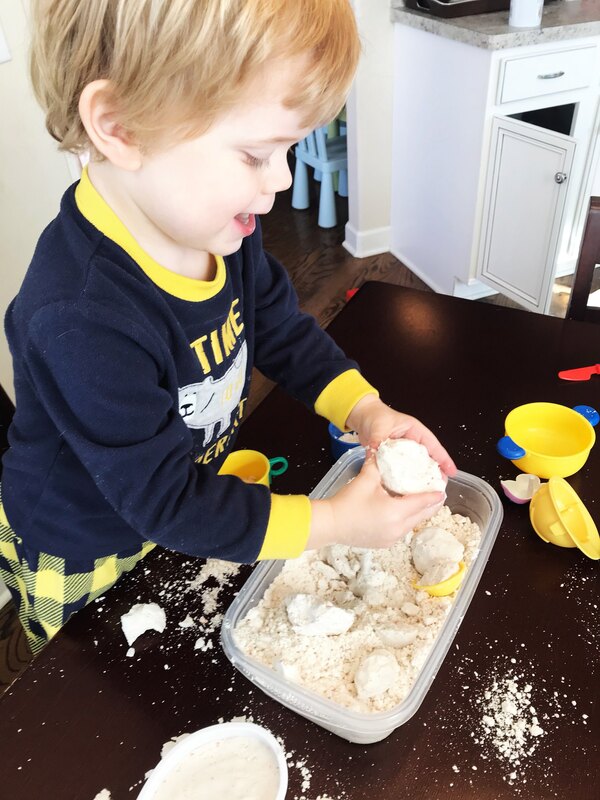 Oh, and before you begin let me just tell you that sensory play is sometimes called “messy” play because it’s just that…messy. I know it’s hard to embrace messy sometimes. I’m a type A personality who likes everything in it’s place. 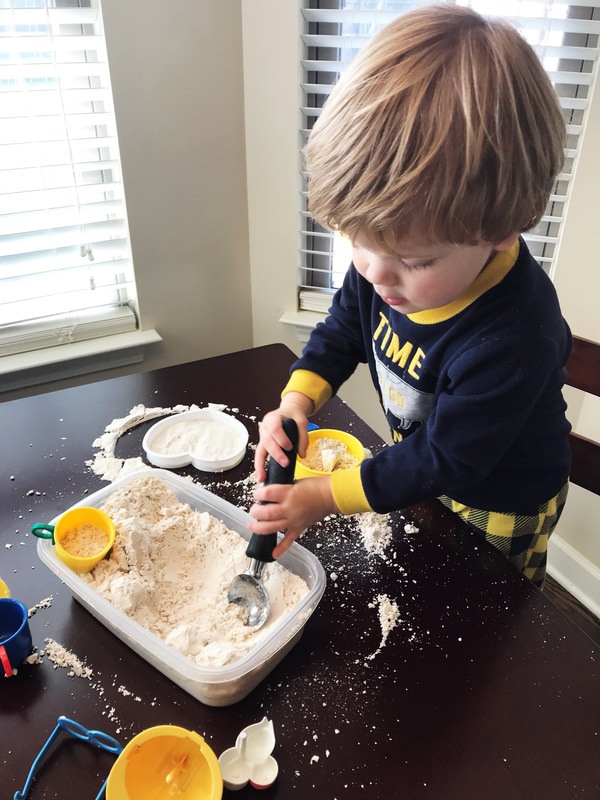 But I’m trying to embrace the mess so my son can discover things he would not be able to by coloring in the lines or by keeping all the flour on the table (for this activity). So, for today…just say yes to the mess! Then you can immediately sweep it all up after play time is over. I like to start simple and then build on the activity. 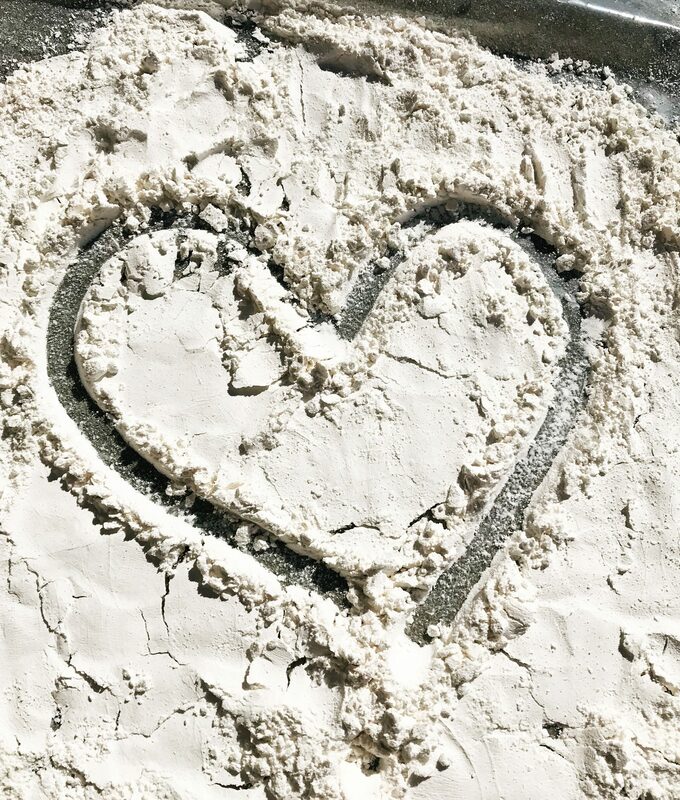 So, the first thing we did with the flour is simply investigate. I laid down a tarp in the back yard. We dumped out some flour and I let my son explore. We talked about the consistency of it (smooth, soft). I love the investigation aspect of this because it gets your toddler talking! Language development is built by using it. You are constructively (in a sneaky way) giving them something to think and talk about. After investigating we moved onto tracing with the flour. We patted it flat then I showed him how you could trace by using your finger. My fine art work is below. He preferred to make a handprints in the flour this go around. Later I plan to use the flour for tracing letters and numbers. This sensory activity will last as long as you want it to. Their imagination will pretty much take over. 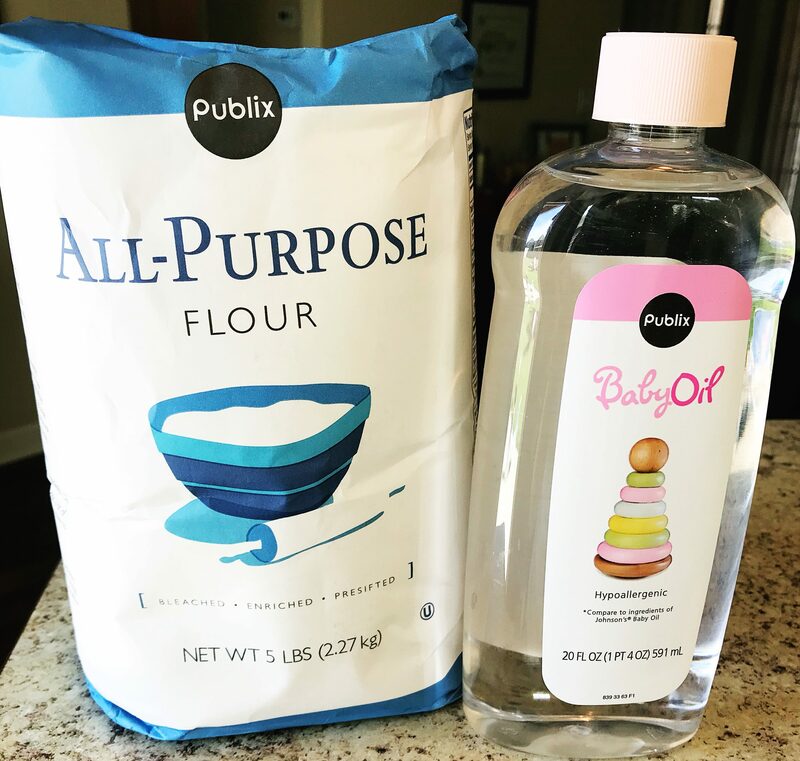 Next we transferred the flour to a dollar store bin or you can get some on Amazon here. Then I asked my son what he would like to add to his flour sensory bin. I had a few things prepared for him to pick from. I love a good sensory bin because once again it gives the toddlers opportunity to have control (which they so desperately want). Once he had all the items he needed I stepped back and watched his brain at work (and sometimes I even get to drink coffee while it’s still hot)! Last but certainly not least we made Cloud Dough but we referred to it mostly as snow. You may have seen this stuff before but I want you to know it’s so easy to make, super fun to play with and not hard to clean up. Blend the two together. You can either mix it by yourself or let your toddler help you mix. Like I said it’s very easy to make and your kiddo will love to join in. The consistency is different from play-doh. It’s looser but can also be compact. 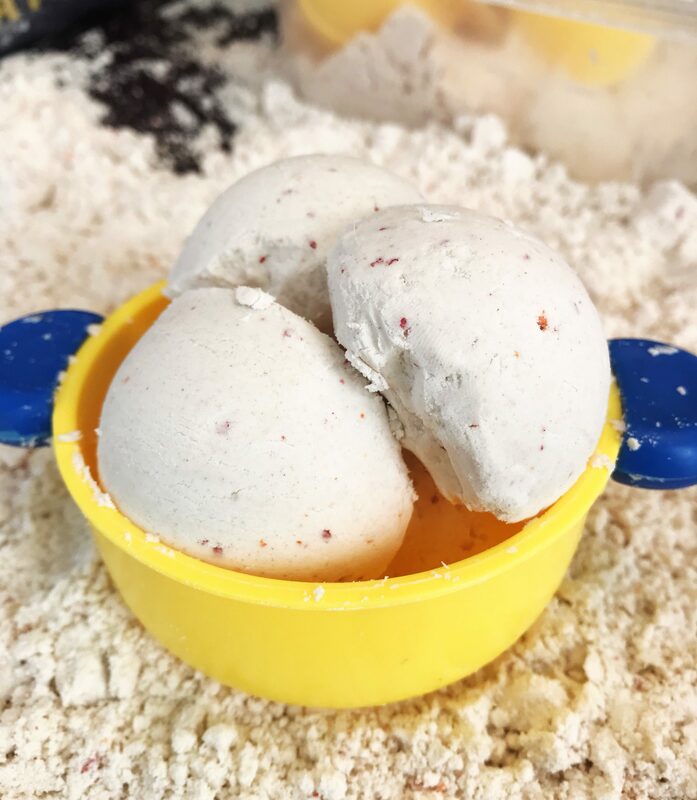 I promise you’ll both love exploring all the fun sensory play you can have with Cloud Dough. We decided to make a Snowman using our dough and some Mr. Potato Head accessories. Our final product was pretty cute if I do say so myself. Hopefully this is not the only snowman we see this season. We don’t get a ton of snow in Tennessee, but when we do everything shuts down! Next we used some of his kitchen tools to transfer the dough back and forth. He also had a great time scooping the dough and putting it in bowls. Plus he figured out that if he makes a ball he could then squeeze it hard and the dough would just kind of break a part. Lot’s of discovery took place. Lastly we made some ice cream sundaes and called it a day! I stored the Cloud Dough in a sealed Rubbermaid container so we now have it to play with whenever we want. Oh, and we tried to add food coloring. I was quickly reminded that oil and water don’t mix when it just kind of created color flecks instead of mixing in with the dough. There you have it. Sensory play activities with items you can find at home! I hope you get to build your Cloud Dough snowman and fingers crossed for a real one as well! This looks like a lot of fun! Not sure though if my little guy is quite ready for it–he still likes to put everything in his mouth. Probably wouldn’t taste very good with the oil!